Live in California and are in the mood for new car insurance? 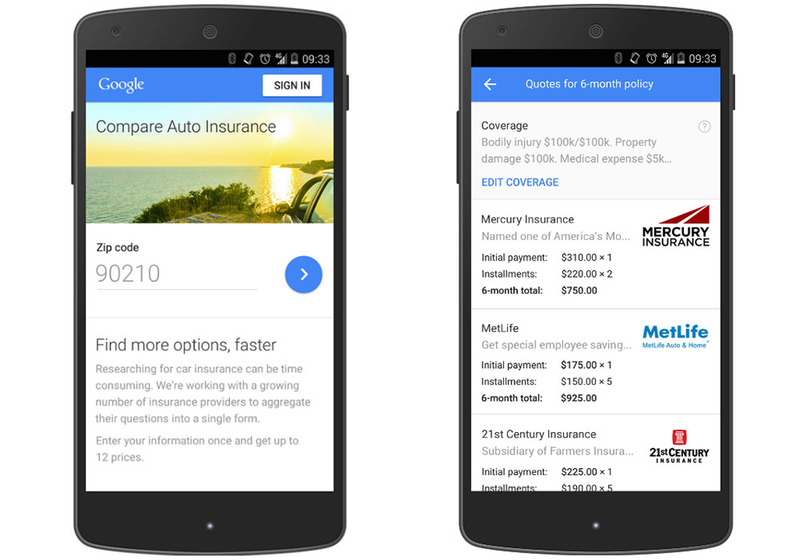 Google’s new car insurance comparison tool might be a good place to start. Announced today, the tool is a part of Google’s suite of Compare sites (they also do credit cards) that allow customers to “make confident, more informed financial decisions.” At this time, the car insurance Compare is only available in California, but Google expects more states to follow. 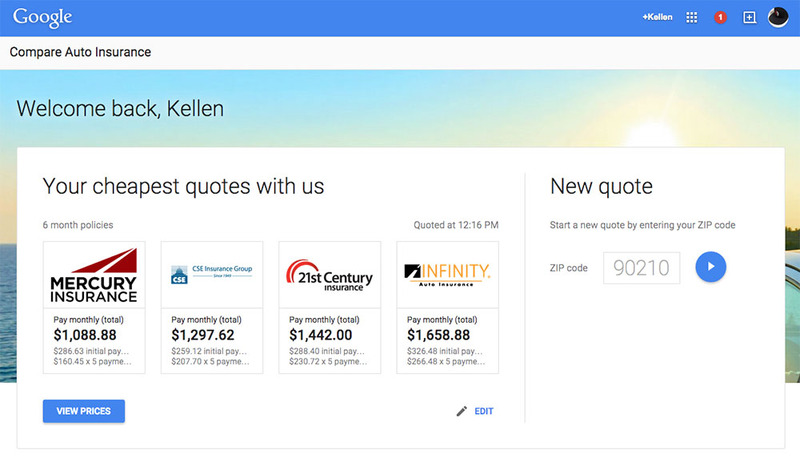 In California, it appears as if Google has partnered up with 13 insurance providers, most of which will show you a quote after filling out a couple of simple forms. It took all of 5 minutes for me to plug in a bunch of half-fake information (because I don’t live in California) and receive quotes from six of the 13 providers. Once you are given quotes, you have the option to buy online, call the insurance provider directly, or just view more detailed policy information from the quotes received. With a well-laid out list of quotes, you can quickly click through each to compare and hopefully, find the best option. The quotes show price by “pay in full” or installments, length of the policy, breakdowns of each charge, etc. The list of providers seems to be pretty small at the moment, and certainly seems to be missing some of the really big insurance players, but that could all change over time. Again, if you are in California and in need of new car insurance, give it a spin. You can visit the car insurance comparison tool here.